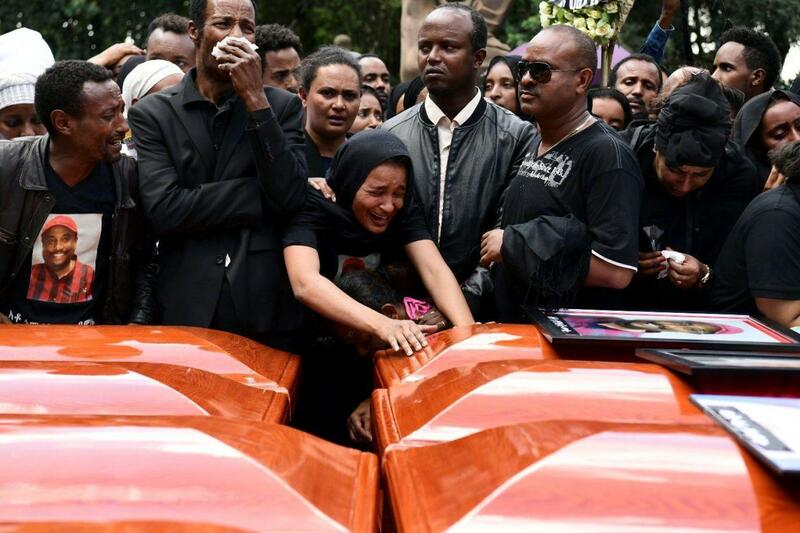 As Ethiopian Airlines flight 302 took off in perfect, cloudless conditions on at 8:37 on March 10, it would take less than two minutes for all hell to break loose with the Boeing 737 Max 8 with 157 people on board. 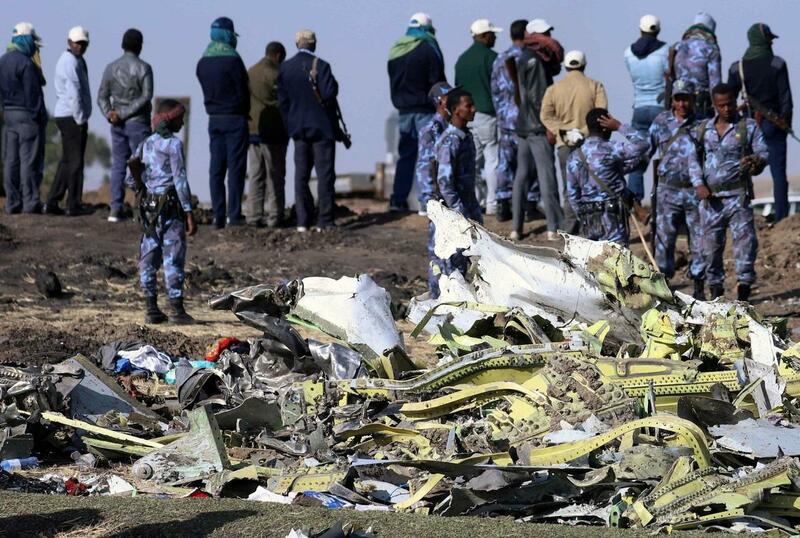 Two minutes after it departed from Addis Ababa's highland airport on its scheduled one hour and 40 minute shuttle to Nairobi, things began to go very wrong, according to the Wall Street Journal. At 8:39, with the jet just 450 feet above the ground, its nose began to pitch down. First Officer Ahmednur Mohamed radioed the control tower to report a "flight-control problem." Captain Yared Getachew, a veteran with over 8,000 flight hours, fought to keep the plane's nose up. One minute later at 8:40, "the oscillation became a wild bounce, then a dive," according to the WSJ. "Pitch up, pitch up!" said one pilot to the other before the radio went dead. 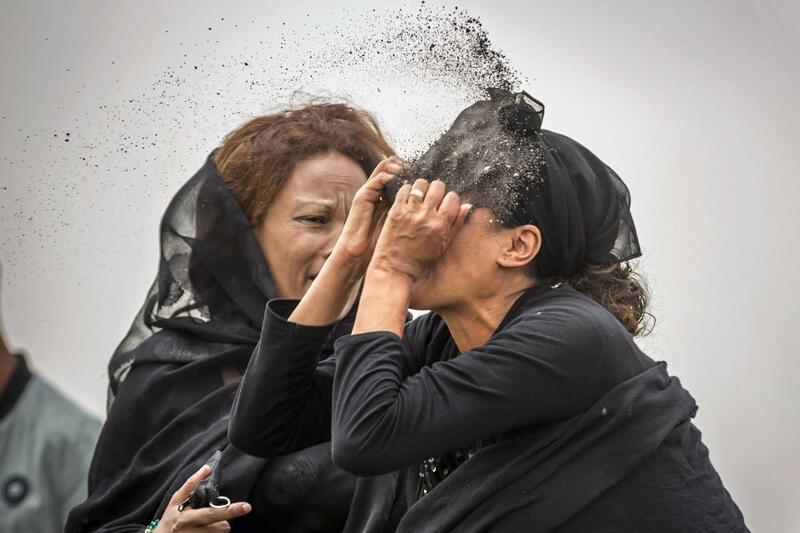 At 8:44 the 737 Max 8 crashed into a field 30 miles from the airport, instantly killing everyone on board. The black boxes have reinforced the emerging consensus that the anti-stall MCAS system is to blame, and that the misfiring system is at the heart of both the Ethiopian Airlines crash and the October Lion Air 737 Max 8 crash off the coast of Indonesia less than five months earlier in which the stall-prevention system activated due to an erroneous sensor reading which pushed the plane's nose down, killing all 189 people on board. The day before the Lion Air crash, an off-duty pilot flying in the jumpseat of the same plane was able to talk pilots through powering off the MCAS system as it began to exhibit the same malfunction. 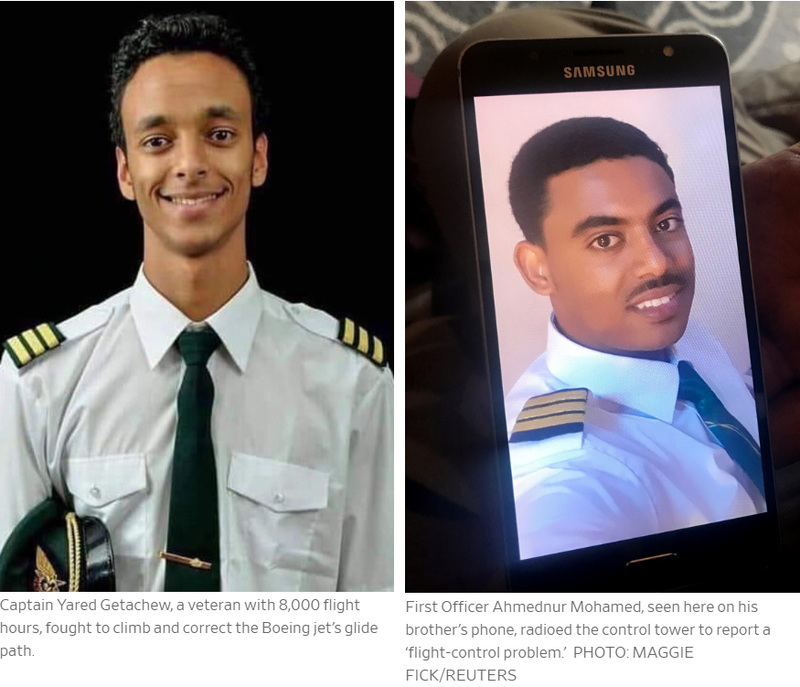 Right after the Ethiopian Airlines jet lost radio contact and fell off the radar, it was becoming clear that the plane had crashed. 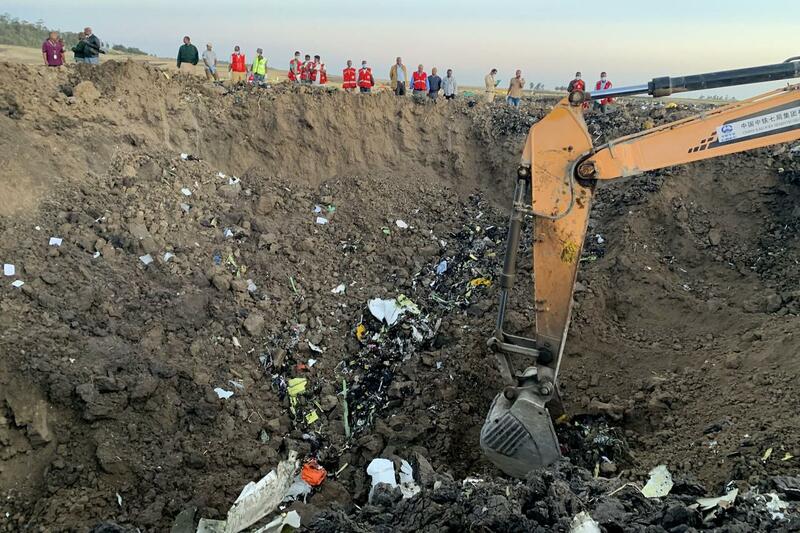 "When I went to the site, the plane was completely below ground," said Ethiopian Airlines Chief Executive Tewolde Gebremariam. "At that time, we knew there were no survivors."